We can take great heart and inspiration from successful entrepreneurs. They are the undoubted overachievers of our society, with the innate drive and determination to pursue a vision or ambition and achieve it no matter what obstacles they encounter along the way. Many of these celebrated entrepreneurs are innovators — people who seek to improve the lives of others by developing an idea or product that takes the world from where it is to where it should be. If you’re looking for motivation to nurture your incredible business ideas to fruition, take a look at these business innovators who well and truly made their mark in the last century. Widely recognized as one of the pioneers of the microcomputer era, Steve Jobs co-founded Apple, the company that developed one of the inaugural mass-produced personal computers (PCs) the world had ever seen (known as the Apple II). Jobs wasn’t content with just making a hefty contribution to computing and desktop publishing. He also invested time and money in developing the visual effects industry, with the eventual company Pixar producing the first wholly computer-animated film, Toy Story, back in the mid-90s. 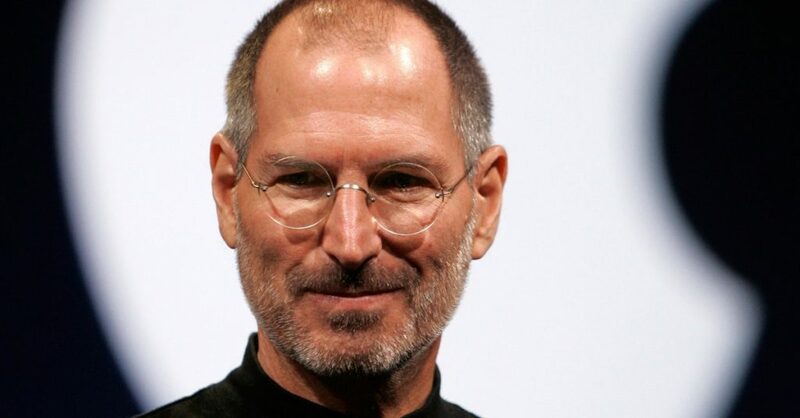 Even more remarkable and inspiring is that Jobs was diagnosed with a pancreatic neuroendocrine tumour in 2003, and despite his terminal condition, he oversaw the smartphone and Apple stock price boom along with the Apple stock price prior to his passing in October 2011. One of the biggest exponents and innovators in terms of the customer experience was a man in the middle of the Nevada desert, Benny Binion. The man behind the growth of the Downtown Las Vegas casino scene, he popularized innovations such as free drinks and “comps” to his casinos’ most valued customers and also established the now world-famous World Series of Poker championships. A born entrepreneur, British business magnate Sir Richard Branson didn’t take very long to start his first business venture and has never looked back. Branson now oversees 400-plus businesses under one umbrella brand, which started with his chain of record stores in 1972. The brand grew rapidly, and Branson is now worth an estimated $5bn+. His efforts have been recognised at Buckingham Palace after receiving a knighthood for “services to entrepreneurship”. Despite decades of business success, even today Branson continues to strive to push the boundaries of everything that’s possible, including attempts to make space travel more attainable to the masses. The brains behind the rise of the American animation industry, Walt Disney remains the most decorated film producer more than half a century beyond his passing. With ambition and passion to become an illustrator, Disney moved to California in the 1920s seeking to create his own studio with his brother, Roy. Later that decade, Disney would create the cartoon character that would set him on the way to stardom – Mickey Mouse (he also provided the voice for Mickey in his earlier years). Disney had a vision for animated movies to rival those of Hollywood film stars, and with the irresistible combination of synchronized sound and technicolor he was able to achieve just that, eventually scooping 22 Oscars from some 59 Academy Award nominations. Disney’s entrepreneurial nous can’t be questioned either, as he rode the wave of the popularity of his animated stars to create Disney amusement parks that are still one of the major brands of the world today. One of the most iconic hoteliers in American history, Conrad Nicholson Hilton founded the Hilton Hotels chain, which helped facilitate tourism throughout the United States. What’s also fascinating about the Hilton Hotels Corporation is that his chain helped raise the bar of standardized hotel accommodation worldwide – another key example of an entrepreneur who sought to take the world from where it is to where it should be. Eventually Hilton acquired some 188 hotels across 38 different American cities, as well as 54 hotels dotted in all four corners of the world. Feeling inspired by all of these success stories? You should be! What many of the above entrepreneurs have in common is that they came from very modest backgrounds and simply made the most of the tools at their disposal to achieve their dreams.